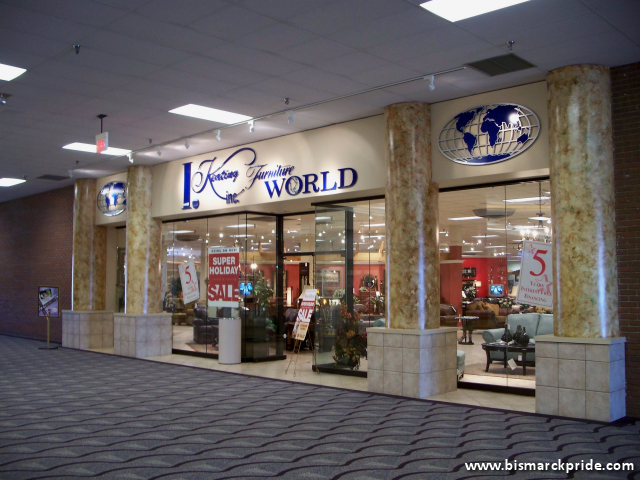 Store entrance to I Keating Furniture World inside Kirkwood Mall in Bismarck, North Dakota. Space formerly occupied Montgomery Wards until its closure in 1998. Sat mostly empty until I Keating moved into the space in 2002.